When Tiffany Heitkamp was killed in 2006, the drunk driver she was riding could not be charged as a repeat drunk-driving offender, even though the driver had a history of driving while intoxicated. This is because the current law of New York does not allow for drunk driving histories to be linked from one type of vehicle charge to another – for instance a DWI on a driver’s record will not be taken into account if the driver faces charges of boating while intoxicated or snowmobiling while intoxicated. In Tiffany’s case, that is exactly happened. Because Tiffany was killed while the drunk driver was at the helm of a boat – charged as a BWI – the law would not allow for the driver’s DWI history to be taken into account. Thus, allowing the driver to escape the increased penalties faced by repeat drunk drivers. As a reaction to situations like Tiffany’s, the New York Senate passed “Tiffany’s Law” in February 2012. If it clears the Assembly and is signed into law, Tiffany’s Law would require courts to consider a driver’s entire drunk driving history. The law would effectively close a loophole in the law, and all convictions for DWIs, BWIs and SWIs would have to be considered the next time a driver faces a DWI, BWI or SWI, forcing the driver to face the consequences of being a repeat offender. 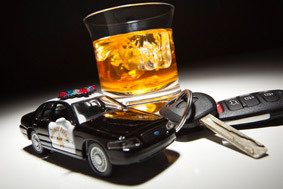 Drivers accused of DWI, BWI or SWI face penalties of license suspension, fines and jail time. If Tiffany’s Law is passed, the penalties faced by those charged with driving drunk may increase. Tiffany’s Law will make it more important than ever for drivers facing allegations of drunk driving, boating or snowmobiling to protect their rights and fight the charges by speaking with a New York criminal defense attorney.